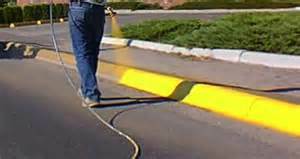 Do you need the yellow paint on your curb or your nearby intersection repainted? If so, please call 311 and report the specific address or intersection. This spring, the Department of Public Works will be targeting Highland Park for repainting. If this is a request to paint a new spot, please make the same request – though the process may take longer or the request may be denied. Contact Deb Gross’ District 7 Office for more information at 412.255.2140.